The Christian churches have frequently pioneered educational advances - from the seventh century down to the nineteenth. Schools, universities and colleges of education stand as tangible evidence of these efforts. Do all these ventures belong merely to educational history - relics of the days when Christianity was influential enough to play a leading part in education? 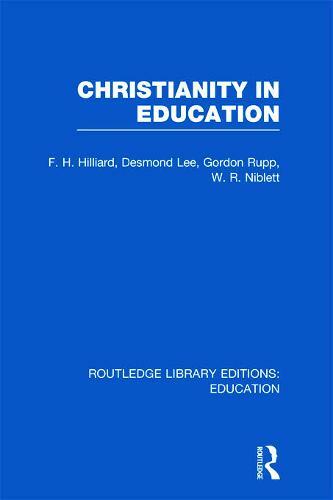 Or has Christianity still a distinctive contribution to make to educational thought and practice? The educationalists who contributed to the Hibbert Lectures of 1965 are convinced that it has. They examine the nature of this contribution and show how it is to be made a time when education seems to be mainly influenced by secular rather than religious assumptions and aims. The six lectures fall into two main parts. Christianity in the schools is the theme of the first three; Christianity in higher education that of the last three.